Thanks for choosing MRT tools, please follow the steps below to activate your MRT tool. 1. 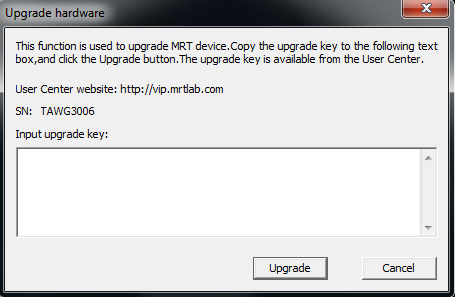 Please correctly install MRT hardware card to your computer. Refer to the link of: http://us.mrtlab.com/tech/otherdisk/84.html for more detailed information about MRT hardware installation. 4. 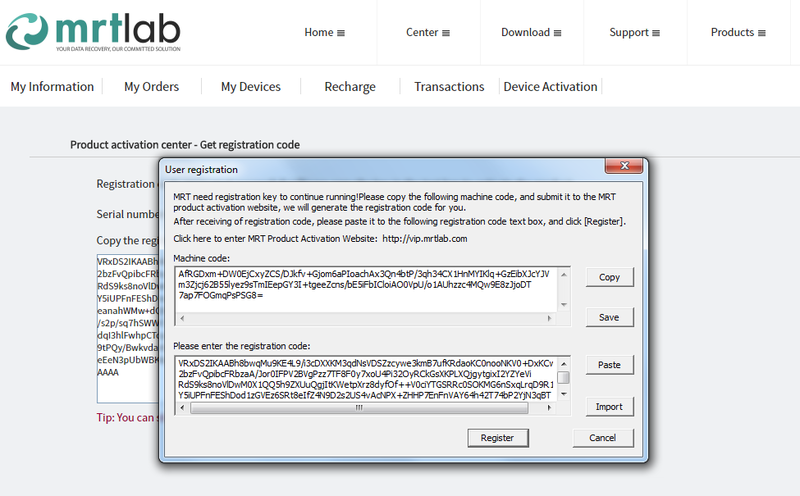 When successfully installed MRT hardware card and MRT software, we can run MRT application, and it will pop up the dialog box to let users to input registration code. 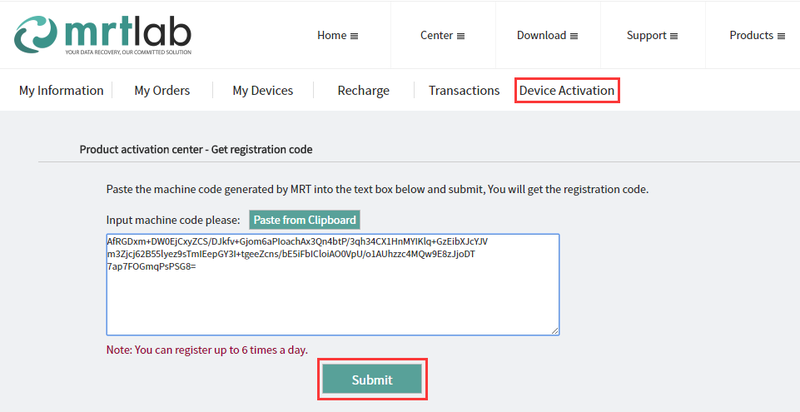 At this time, please log into MRT user center (http://vip.mrtlab.com/en/) , click "Device Activation", use machine code generated by MRT to get the registration code. 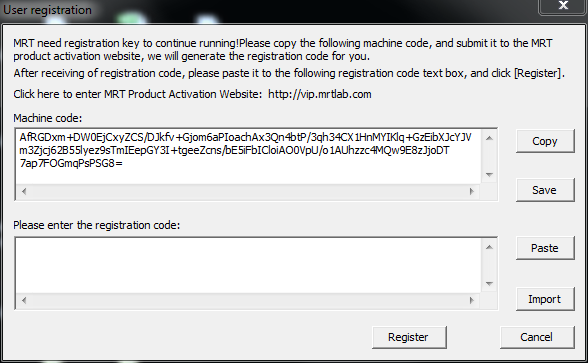 Paste the registration code into the dialog box and click Register, the activation of the software is completed. 5. 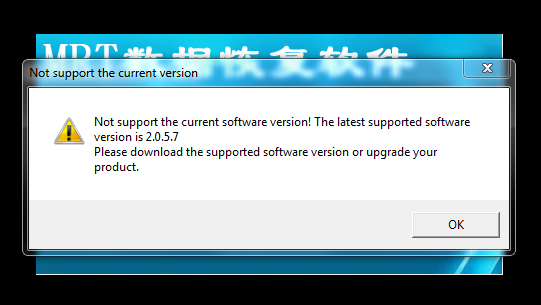 If the software package you've downloaded is the latest version, after completing the activation, there will pop up the notice of "Not support the current version". This is because hardware cards can only run in low versions by default, only after getting the software upgrade code, can we run latest version MRT software. Please log into MRT user center, find the MRT card you want to upgrade in "My Devices" and click "Upgrade", choose the upgrade type as "Software version upgrade" in the pop-up new page, follow tips to get the software upgrade code and paste it the dialog box of upgrade hardware then click "Upgrade", when it appears the notice of "Hardware upgrade success! ", we can use the software. If you have any questions concerning MRT hardware & software installation, activation or upgrading, please contact our technical support for help.